Packing light is not always necessary as there is a luggage transfer service available but if you decide to carry your own load, then packing light is your best friend. 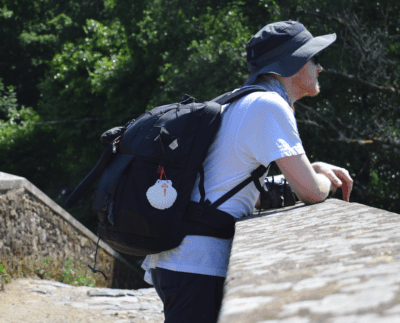 Once you’ve decided to walk a Camino, some of the first questions are, “What do I need?” and “How much should I bring?” The trick is having everything you need but packing light at the same time. This is crucial because carrying less weight equals less pressure on backs, knees, and feet and, therefore, more enjoyment. So packing light means condensing our wants and needs down to a core number of items. This is tactical packing at its finest. A list of items needed for packing light depends on where, for how long, and in what season you plan on walking. However, for those walking more than three or four days in spring through autumn, the following items cover the basics. Choose comfortable hiking boots, trails shoes, or trainers. 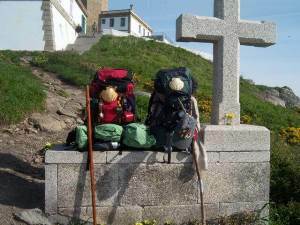 Before starting your Camino, make sure you’ve broken them in over at least several long walks. Also, take a spare pair of shoes for the evening – preferably waterproof if using hostel showers – to give the feet a rest after a day’s walking. 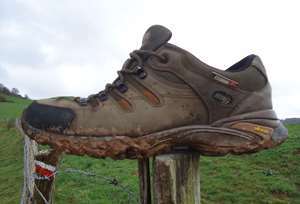 Further info on choosing footwear is discussed in our article “Walking Footwear for the Camino”. Be sure to choose clothes made from quick-dry materials. Under no circumstance is cotton your friend on the Camino. Cotton holds moisture next to the skin causing chafing and blisters and takes an eternity to dry after washing. On the other hand, high-tech fabrics for outdoor pursuits can take a shower – on or off your body – and be dry in short order with a little sun, breeze, and body heat. Two pairs of trousers and/or shorts, depending on the time of year, are adequate. Convertible hiking trousers with zip-off legs are handy due to their versatility. Two or three shirts with a mix of long and short sleeves will carry you through weeks of walking. It’s usually a good idea to carry some sort of rain gear for most Caminos in most seasons. This can include a poncho, rain trousers, a rain coat, or some combination of the above. Go for a walk on a rainy day at home to test out your choice before leaving. To test under full-on torrential conditions, hop in the shower wearing your gear. Any deficiencies will quickly become apparent. Depending on the season, lightweight thermal base layers may be advisable. These also are handy to wear as pyjamas on cold nights. Regardless of the season, take a fleece top as evenings can get cool even in the summer if you’re in mountainous areas. 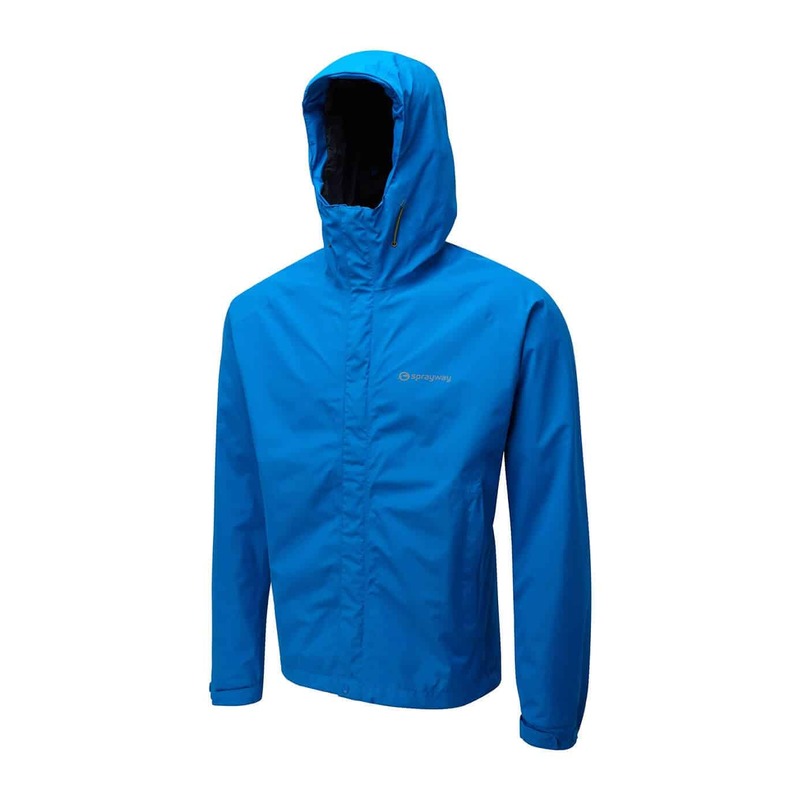 You can also layer shirts, trousers, base layers, fleeces, and rain gear to create the necessary amount of warmth. Travelling light mean packing little and wearing it all at once if necessary! Bring dependable, functional smalls with good moisture wicking and no rough seams. Three changes of underwear and socks should be adequate. For those who like multiple sock changes during the day, an extra pair of socks may be in order. And remember that if you’re staying in hostels, underwear is on view during washing, drying, and sometimes wearing. While everyone generally does their best to be discreet, privacy is minimal so don’t bring anything you’d be embarrassed to have seen. Bring a brimmed hat to keep your head from boiling on hot days and/ or a warm hat to keep it from freezing in cold, wind, and rain. Depending on the season, a warm pair of gloves could also earn their place in your pack. Keep it to a minimum and bring everything in travel sizes to avoid extra weight. An all-in-one shower gel and shampoo will keep the packing light and cover all washing needs from body to clothes to dishes. Packing light isn’t a major issue if you are having your bag transported from hotel to hotel and are only carrying a day pack. However, carrying all of your belongings raises important questions regarding not just ‘what’ but ‘how much’. 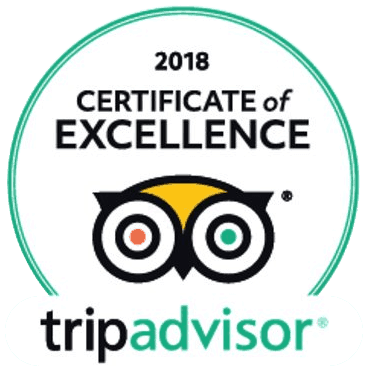 Survey 100 pilgrims and you’ll have approximately 93 opinions on any given subject: raincoat versus poncho, boots versus trail shoes, poles versus walking stick. While the question of ‘what’ remains contentious, the ‘how much’ generates remarkable consensus: as a guide, don’t carry more than 10% of your body weight, excluding water and food. Hence, the wry observation that when someone tells you ‘10%’, this is <em>not</em> an opening bid: they’re trying to save your life. Each pilgrim’s pack represents their own idiosyncrasies in interpreting what’s vital. But woe betides the indecisive, the fatalists who prepare for all possible calamities, the sartorially diverse and expressive. They start in high spirits, their packs towering above them. Within days they’re hobbling on bandaged feet, struggling under the weight of their possessions. As local physios tape and brace straining muscles and joints, they jettison increasingly unnecessary items. Gone are the books, the hair dryers, the just-in-case pharmaceuticals, the stylish clothes. Remaining are the clothes they’re standing in and a change for tomorrow, a change of shoes for tired feet, a bottle of hair/body/clothing/dish detergent, something to keep them dry, something to cover their weary bodies at night. Yes, they are a bit more grubby and wrinkled and frayed at the edges. But, the freedom! The lightness of the body that lifts the spirit! A smile creeps in unbidden. The bandages come off as the body heals. It’s like a resurrection. We never know how weighed down we are by the things we think we need until we leave them behind.